Local West Hallam resident Steve Webster is the Founder of FND Dimensions, so we have a charity working Nationally right here on our doorstep. On Saturday 6th May at Queens Leisure Centre, Derby, Steve will attempt to swim 1 mile before 20 swimmers from the City of Derby Swimming Club each complete their mile swim. Because of Steve’s health condition, he has to wear a float around his waist to stop him sinking and is unable to kick due to a spinal condition, therefore only using his arms to move in the water. FND is a debilitating condition that needs much greater awareness and by supporting this event and the efforts of FND Dimensions, hopefully it’s profile will reach many more people. It is also great to get behind an athlete, who has FND symptoms and is using swimming as a way to support others diagnosed with the condition. 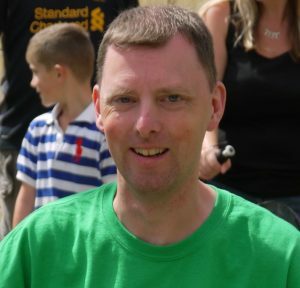 If you would like to sponsor Steve please go to the Donate page or contact us via enquiries@fnddimensions.org. FND Dimensions © 2019. All Rights Reserved.